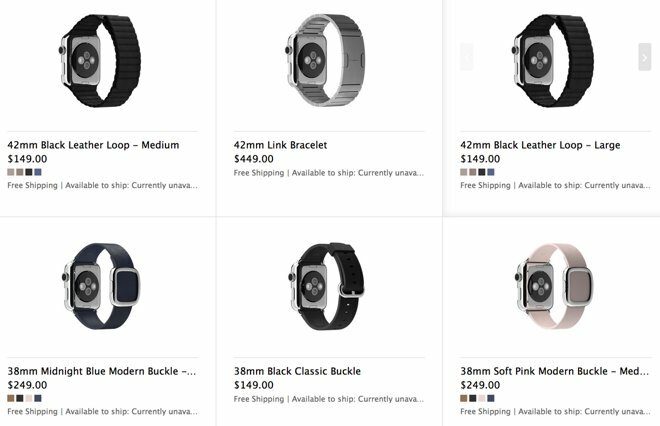 I wouldn't mind having an Apple Watch with a stainless steel and leather band, but I could stick with the Apple Watch Sport for $399. Basically all the watches are pretty much the same, beside the 38mm and 42mm and gold edition. I bet there will be options, you can find the bands cheaper somewhere down the road. But I'll wait later this year, whenever I can afford one and plus that when it should be more available. But in the mean time, I will watch and read the reviews. One feature, I kinda do like on the watch is the personal touch message. Not everybody, will probably buy a watch and but will probably enjoy that feature, I think they should incorporate that in the phones. Like if somebody does that personal touch message on there watch and the other person can receive it on there phone and vice versa. I really thought they would make em look better. Apple was always ahead in product design. Maybe the 2.0's after they've generated some cash off of this batch. 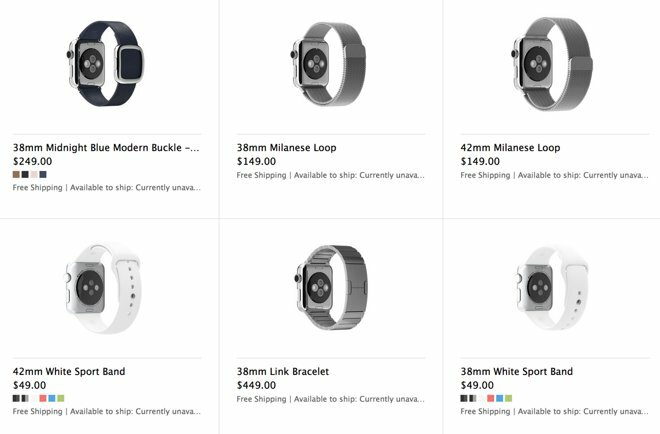 i def wont be getting a 1st gen one and probably wont ever get one but i do like that $149 mailanes loop band the best. I'm amazed that a company like Apple has such a control over the desires of the public, that they can market a product that looks like something only a preteen girl would wear, and get millions of grown adults to want one. It isn't clear yet that they will get millions of people to want these. I thought the price range for the non-Edition watches would be smaller. $1,000 seems too high for the steel watch with steel band, but maybe people will want them enough to pay that. Way to much to invest in a watch. I stopped wearing a watch since I got my iPhone. I can already control my music via my headphones. And the nice watches will be lifted lots. I predict a hot crop of iWatch theivery. I'm sure they will sell a lot of them, whatever that means. I'm curious what their sales projections/goals look like. i agree that it will sell well. im not an apple fan or hater. the watch looks cool to me and id be happy to have one but i dont use an iphone. the thing that bothers me about the watch is that there is no real game changer with it. both the ipad and phone where huge game changers. there may have been something similar to them on the market but there were not many choices until after apple launched and everyone followed suit. with this watch it feels like apple is the one following behind. there are a ton of smart watches already out there. Weren't there a ton of tablets out there when the iPad came out? Wasn't that just a few years ago? Obviously, people who buy iPads think it's the best form of a tablet, and/or they're loyal to Apple's products. Same with the iPhone - it may have been the best smartphone offering when introduced, but it certainly wasn't the first. There were tablets before the iPad, there were smartphones before the iPhone, and there were MP3 players before the iPod, but Apple improved each of those categories with their offerings, usually by reducing the technical barriers to entry. The iPod was no better than other MP3 players, really, but the iTunes store made it so easy to buy music that the device took off. The iPhone and iPad offered technical advances over other smartphones and tablets, plus an app store that made buying software easier. The Apple watch ... not so much. It doesn't have much to distinguish it from Android Wear devices, other than it works with an iPhone. It does a bunch of things Pebble doesn't do, but Pebble does a few things it doesn't do, and it isn't clear to me that the price difference justifies the features. All true, but I actually think the iPod deserves more credit. The navi wheel, large display, plus large capacity were only found in the iPod, until cell phones took over those duties. But as you say, it was really iTunes that drove people's decisions, and the watch doesn't have anything exclusive like that now. I will never accept the iPod click wheel as a beneficial feature. They're projecting 20 million right out of the gate, and probably 75 million by the end of the quarter. Sounds low both ways to me. If I could afford one, I would get one. But the time I probably afford one, the Apple Watch 2 may be out by then, if they made a new generation. Here's the one I'll be saving for. I think 75 million, especially at this price point, is pretty aggressive. Hope I'm wrong. More sales will mean more development and cooler, less expensive, future products. Big sales will get everyone else off their butts trying to compete finally. Dude your my new best friend, $15,000!